A black body is used for calibrating infrared thermometers. They typically consist of a target plate that has a very high emisivity. The temperature of the target plate can be controlled to very tight tolerances. To calibrate and infrared pyrometer, the pyrometer makes a measurement of the the target plate. The controlled temperature of the plate is compared with the IR sensor reading. The pyrometer is then adjusted until the the difference is minimal. The high emissivity of the target plate minimizes emissivity errors. Fluidized baths provide safe, rapid heat transfer and accurate temperature control, enabling you to efficiently and safely calibrate and maintain temperature sensitive instruments. The principle of fluidization occurs when a gas usually low pressure air or nitrogen flows upward through a partially-filled chamber or retort of dry, inert particles of aluminum oxide. The gas flows at a low velocity, which sets the particles in motion, separates them, then suspends them to a stable level to give the particles the appearance of turbulence quite similar to the state of boiling liquid. Besides circulating and flowing like a liquid, fluidization solids exhibit excellent heat transfer characteristics. Temperature probes inserted into the bath come to a consistent, stable temperature very quickly. On April 12, 1934, an anemometer on the summit of Mount Washington in New Hampshire measured the highest surface wind speed ever recorded: 231 miles per hour. The Mount Washington anemometer, which had been calibrated in 1933, was recalibrated after the world record measurement, and it proved to be accurate. When a typhoon hit Guam in December of 1997, the record seemed to be broken — an anemometer at an American air force base recorded a wind gust of 236 mph. That reading, however, did not stand because the National Climate Extremes Committee judged the Guam anemometer unreliable. To metrology experts, the survival of the old record was an object lesson in the importance of calibration. A footnote: wind speeds greater than 231 mph are believed to have occurred in tornadoes, but no documentation device has yet withstood such extremes. Contrary to rumor, the Mount Washington anemometer did not blow away during the 1934 storm. Today, it resides in the mountain’s Observatory Summit Museum. For a more down-to-earth example of what happens when calibration gets short shrift, one need look no further than the “oven temperatures may vary” statement on the cooking instructions of frozen food. The reason for the caveat is that most household ovens are never recalibrated after they leave the factory. Consumers apparently can live with this margin of error, but it is a different story for manufacturers. For a company to be ISO 9001-compliant, equipment calibration is required. 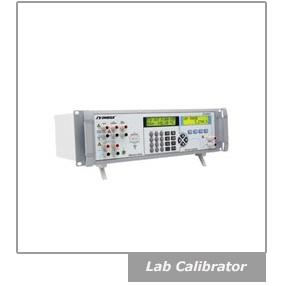 Rules alone, however, do not explain why the best companies recognize the importance of doing calibration correctly and frequently.